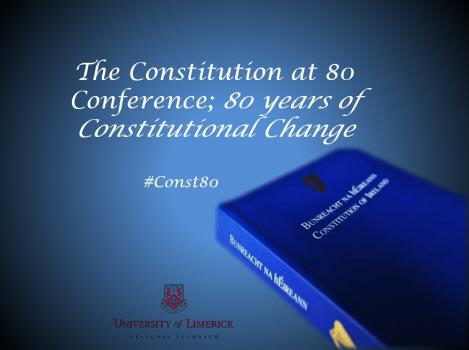 The Constitution at 80 Conference was held in the University of Limerick on 11th November, 2017. The Dublin University Law Journal will shortly be publishing a special anniversary edition with a selection of papers from the conference. Further papers and presentations are available below. Alan D.P. Brady, "The Problem of Deprivation of Liberty as a Vindication of Rights"
Dáithí NacCártaigh, "An Dlí Coiriúil: Coiste Dátheangach"
Donal Coffey, "The Drafting of the Irish Constitution 1937: Influences and Legal Insights"
Donna Lyons, "The Constitutionality of Extending the 'Right to Identity' to Donor-Conceived Children in Ireland"
Edoardo Celester, "The Irish Constitution and the Challenges of the Digital Age: Is it Time for a Bunreacht na hÉireann 2.0?" Eugene Broderick, "John J. Hearne, Constitutionalist and Man of Law"
Ger Coffey, "Is there a Constitutional Imbalance Between the Rights of Defendants and the Rights of Victims?" 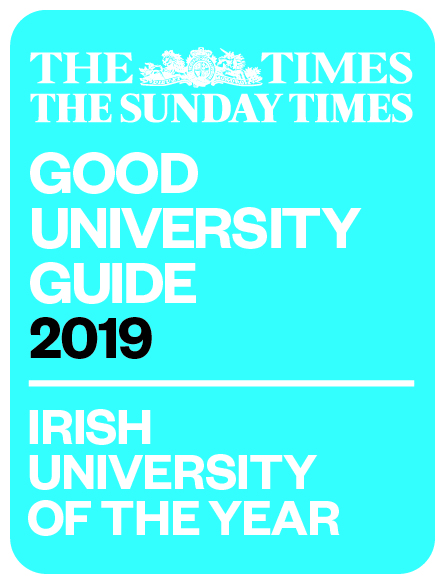 Hugh O'Flaherty, "Unvarnished Nuggets in the Constitution"
James Meighan, "The Development of the Executive from 1922 to 1937"
T. John O'Dowd, "The Irish Judiciary in Perspective"
Joan G. Lalor and Fionnuala McAuliffe, "From Bedside to Court Side: The Impact of Article 40.3.3 on Maternity Care and Practices"
Patrick O'Sullivan, "The Northern Question: Time for a Federal Ireland?" Laura Cahillane, "Revisiting Article 41.2"
Stephen Strauss-Walsh, "The Female Victim: Has Any Progress Been Made in the Past 80 Years?"